With support from Daniela Herold and Eva Sommeregger. The last few years have seen the rise of alternative ways of organising within society, where networks replace hierarchies and collaboration replaces competition. This new epoch will have a profound impact on how we live, learn, work and socialise; it is an era that will require new forms of individual and collective agency and will require new types of space. Crucially, it will require new attitudes to making and inhabiting spaces. We are entering the era of the ‘Collabocracy’. 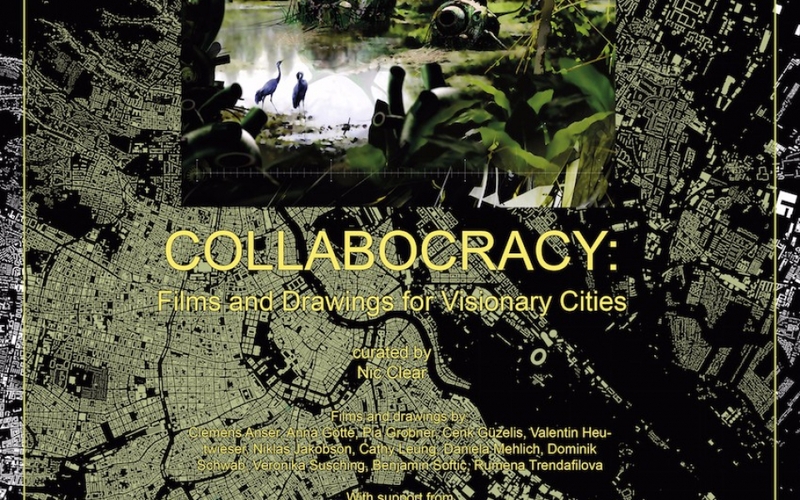 This exhibition is the result of a year long collaboration between the University of Greenwich Department of Architecture and Landscape and The Academy of Fine Arts, Institute for Art and Architecture where Nic Clear has been Professor of Visionary Cities and has run a design studio titled ‘Collabocracy’. The design research of the films and animations in this exhibition address issues around forms of collaborative and open source ways of working and learning, their effects on identity, agency and subjectivity and on the physical, social, technological and spatial transformations that are taking place. 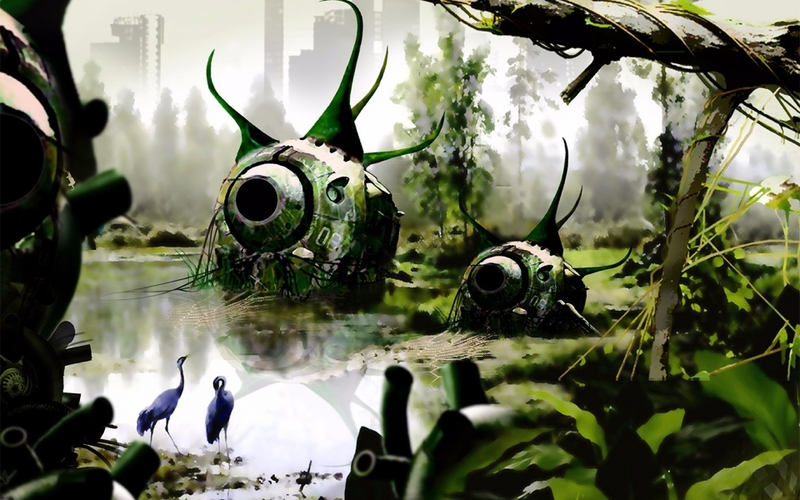 The effects of these transformations is discussed in terms of their impact on the spaces used by individuals, groups and organisations, and read through the lens of developments in contemporary theory, economics, speculative fiction and the moving image, where such ideas have become a key issues in the reframing of these discourses. The focus is the City of Vienna, drawing on its rich history in avant-garde and social activist design and intervention. Through an engagement with radical practice the studio has looked at how the city might reclaim an open system of action and organisation and speculate on what type of architectures might take place there. The fundamental categories of economic analysis ceased to be, as they had for two hundred years, land, labour and capital. This most elementary classification was supplanted by people, ideas and things…..